On world environment day, Nature Communications has released an editorial on the future of plastic. The editorial outlines how biodegradable plastics may help with the growing concerns associated with plastic usage and waste. We all know that plastics are seeping into our environment and causing harm to our surroundings. We cannot carry on as we are and although governmental policies and voluntary schemes are promoting a circular economy of plastics, which is reducing plastic waste, these changes by themselves cannot solve the issue of plastic waste. The editorial discusses that additional strategies are required to have the desired impact on plastic waste. One option explored in detail is the production and use of biodegradable plastics as a replacement for conventional plastics. The pros and cons of biodegradable polymers in particular polylactide (PLA) have been explored and the editorial highlights what still needs to be done to make biodegradable plastics a competitive material and useful in today’s society. The key message is that collaboration and communication between many disciplines in industry and academia is key to produce an alternative for current plastic materials and that biodegradable polymers are the front runners. 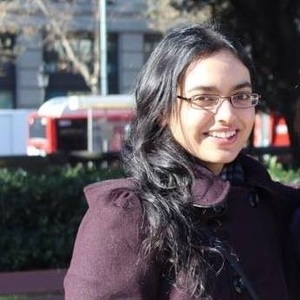 Prabhjot is a Team manager and Associate Editor at Nature Communications. She received her PhD from Imperial College London, which focused on the synthesis of catalysts for epoxide/carbon dioxide and epoxide/anhydride copolymerization reactions.